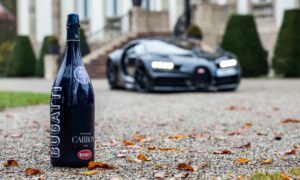 With 1500 hp on tap, you wouldn’t wanna look elsewhere other than the road ahead of you, when you’re inside a Bugatti Chiron. But hey, sometimes you just have to pull over and look at the sky, go into a flashback perhaps. 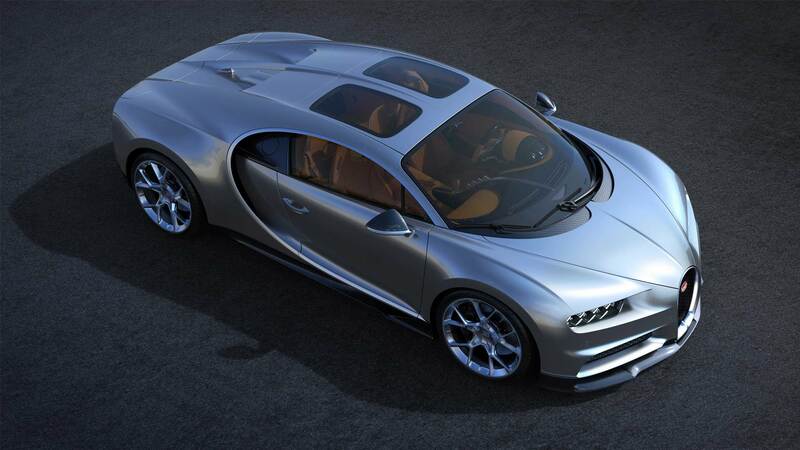 Or maybe you just want some airiness in your Chiron. 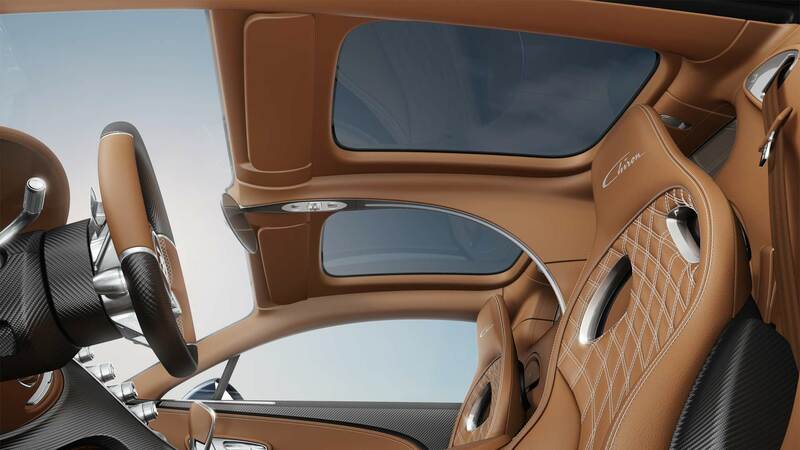 Either way, you can now opt for “Sky View” – two fixed glass panels in the roof above the driver and passenger seats, each measuring 65 cm long and 44 cm wide. These panels have a newly developed laminated structure with thin glass and four intermediate layers. Each layer meets individual requirements. Firstly, the wind noise is reduced and infrared radiation is reflected away from the vehicle to ensure maximum thermal comfort. In addition, the glass has been tinted for privacy. Finally, the harmful ultraviolet (UVA and UVB) radiations are filtered out. As a side-effect, the laminated design improves the stiffness of the roof panels. 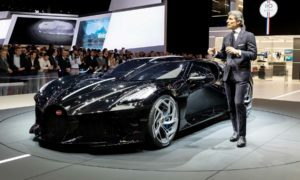 The outstanding structural properties of the Chiron, including the stiffness of the overall vehicle and crash safety are maintained, the French luxury brand added. 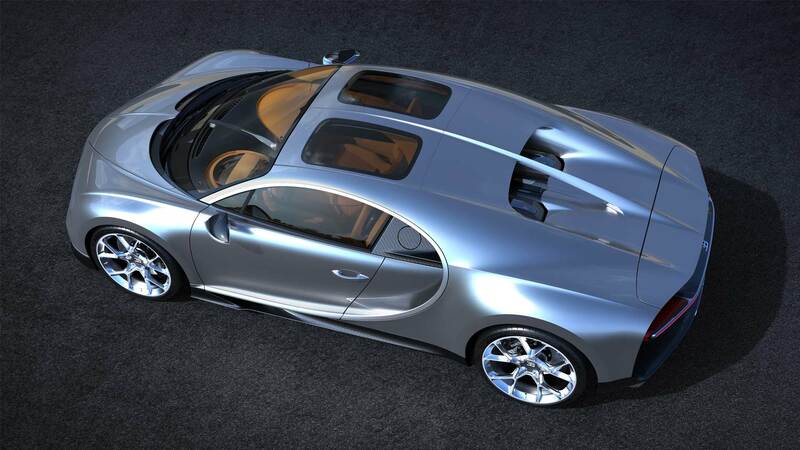 In comparison with the standard roof, the Sky View also offers 2.7 additional centimetres of headroom. 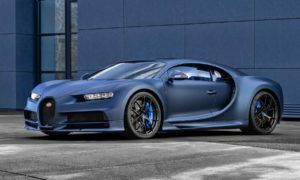 Bugatti plans to present the Chiron Sky View at the Monterey Car Week in California (Pebble Beach) at the end of August 2018.